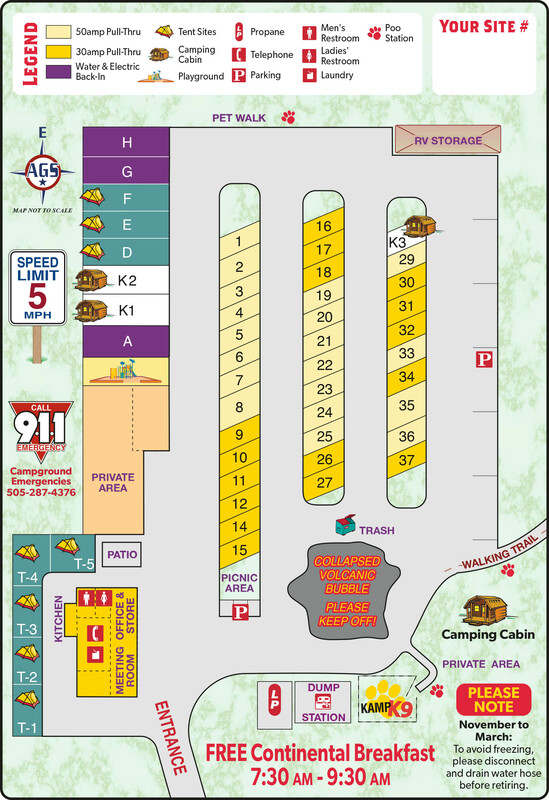 Ask fellow campers about "Grants / Cibola Sands KOA" and nearby attractions. Check-in is quick, staff extremely friendly and helpful. 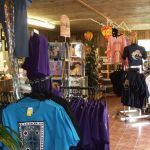 Gift shop has a wide selection of very nice, high-end, merchandise and is impeccably kept. Each site appears to be very level, easy in and out pull-thru, with very well placed hook-ups. There is a train track in the distance and the train whistle and light clicking-clack is rather soothing. Be sure to take a walk through the lava field. They have created a trail with very informative signs describing the events that formed the lava field. We camped at Grants / Cibola Sands KOA in a Motorhome. While the town may have a good restaurant or two, you should stay and eat at the campsite. Not only do they have numerous options on their menu and the food is delicious, but they deliver it to your coach at the time you request. My first impression upon pulling up to the Grants KOA was that it was a typical desert location campground. However, my opinion very much changed to the positive after staying there. The check-in staff was probably the nicest/friendliest I have ever experienced. They were very knowledgeable about the area and provided free cookies and dog treats. The park was immaculately clean and well-maintained. They had a great dinner menu you could order from (including personal delivery right to your site, which is nice after a long day on the road) and a free continental breakfast. 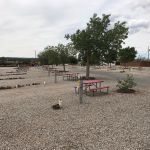 This park is a must-stay when visting the local sites (Chaco Culture National Historic Park, El Malpais National Monument, etc) or just passing through. We camped at Grants / Cibola Sands KOA in a Travel Trailer. The next exit to the East has an interesting and unique brewery called Route 66 Junkyard Brewery. The owner was very friendly and the furniture in the brewery was made from old trunk tailgates / car parts. The bar area was also made from an old flatbed Ford. Very cool place. Called us immediately when there was a problem with our reservation. Worked with us to resolve it. Very nice, clean park typical of KOA Journey. Had a good restaurant on site and provided free continental breakfast. Next to El Malpais National Monument. Cable was good but free internet was slow. We camped at Grants / Cibola Sands KOA in a Fifth Wheel. I'd have to say that this is a fairly unique KOA. From the moment we checked in it felt very homey, friendly and familiar. The employee checking us in was especially accommodating and outgoing thoroughly describing the local area, the campground, etc. He also checked in when we were setting up and made suggestions which proved helpful. The store/gift shop had some really nice quality stuff, not junk. We were only staying for one night, but wish we had booked longer, and after a very long drive we really appreciated the home cooked meals delivered to the motorhome. It was surprisingly delicious! We had two Roast Turkey Dinners and one Smoked Meat Plate and although initially it appeared a bit pricey, when you consider the quality and the convenience it was well worth it. It was the first time our 4 yr old grand daughter actually ate and enjoyed turkey, green beans and cranberry sauce! Needless to say, the dressing, gravy, mashed potatoes and ribs were equally good. If there were any downside to this KOA it might be that the sites are a bit close together (but plenty long enough) and our small dogs had a bit of trouble walking on the large sized gravel. You won't find any nicer, more accommodating folks than the owners and employee! We will definitely be back next year and will plan to stay longer. We camped at Grants / Cibola Sands KOA in a Motorhome. Grants KOA is a journey location and is smaller than a resort KOA. In my opinion that is what made Grants special. The campground has fewer sites but each was large enough that you didn't feel crowded. The other campers seemed more friendly and hospitable than in large parks. The owners are amazing. Mntioned she has had the camp for over 15 years and it shows. She is very personable and outgoing and makes sure you have everything you need. We were traveling in a small Airstream B-190 with five small dogs which makes their needs a priority when selecting campgrounds. The Kamp K9 dog run was perfect. Showers were small but I thought the bench that is ingeniously incorporated in the stall was so handy. The entire camp was very clean, everything worked well and the stunning setting with surrounding mountains and lava rock make Grants KOA a great choice. Take the half mile walk through the volcanic rock. Be sure to take advantage of the wonderful home cooked meals, for a reasonable fee - and delivered to your camp site. And don't forget the very pleasant, complimentary continental breakfast before you hit the road. We camped at Grants / Cibola Sands KOA in a Motorhome. Typical no frills campground that could use some cleaning up. Management was very friendly and helpful which is a plus. On site delivery of home cooked meals as well as continental breakfast. Long pull thru sites that are very close together. Excellent Wi-Fi and cable. Best campground in neighborhood. Would Stay again. We camped at Grants / Cibola Sands KOA in a Motorhome. I have to echo what others have said. True, this is just a KOA "Journey" and most people who stop here will only spend a night. But, for that purpose, it's hard to imagine a better stopover. The staff is as attentive as I've ever seen, the sites are long and sensibly utilized, the facilities are clean and well-maintained, access is easy, WiFi is excellent (6+Mbps at peak hour), and so on. As just one example of owners who go the extra mile, it was a total delight to wander along the gravel walking path out through the lava fields with signs every so often explaining the local geology and history. I see that others suggest that there are local sights worth a visit so next time I'm traversing along I-40, I'm added this stop for a couple days. We camped at Grants / Cibola Sands KOA in a Motorhome. After two months on the road coast to coast and many interactions with various RV park staff, I have to say our check in with the owner was the best ever. 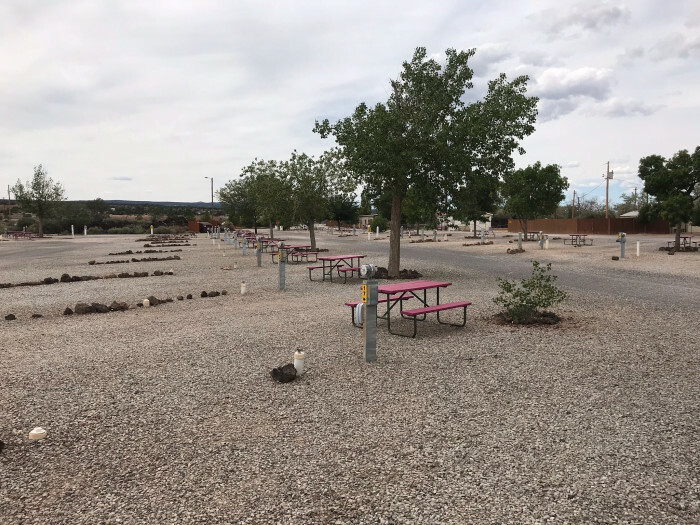 The park is in hot dry New Mexico so there's not much to look at, but the owner's enthusiasm, efficiency and caring for her campers well being was awesome! It really set the tone for enjoying this park even though it was just a pass thru journey KOA. This owner should teach customer service classes at KOA school. Or at least get a special recognition from KOA as journey owners. It is amazing what a persons attitude can do! So now I'll take off my rose colored glasses of enthusiasm and say, yes, This KOA is pretty basic. No pool, showers small but very clean! (How about take out the vanity and enlarge the two shower stalls?) Sites gravel and level. We had a small tree. Old wooden picnic table, but painted and very usable. I appreciate that she places everyone sites apart spread all over the park rather than clump all of us in one area. Those are the little things that tell me she is thinking about our experience. She personally comes by and makes sure everything is working and OK. I like that there is staff on site 24/7. If ever full, the sites would be typical KOA close. WiFi was exceptional. Cable TV lots of channels. Complimentary continental breakfast and she'll make dinner for a small price and even deliver. Good pies with dinner. Train whistle if you're sitting outside. No highway noise. Stop there just to get to read the "best KOA rules." They are the best! Very creative and entertaining. We camped at Grants / Cibola Sands KOA in a Motorhome. The sites were level gravel. No grass, a few trees. The staff was very friendly and attentive. They now serve cafe-style food, burgers and such, and will deliver it to your site, if you wish. They also have a small store with some groceries, gifts and rv necessities. The women's bathroom was really nice. Tile floor, wall paneling that kinda looks like marble (but isn't, of course) and a window with lace curtains and flowers. We downgraded the cleanliness rating because my husband told me the men's bathroom needs a serious face-lift. We camped at Grants / Cibola Sands KOA in a Motorhome. I am giving this KOA a ten for overnight stops. It is just off the highway and very easy to find. The sites are easy to get into and are a little narrow but really long (we had no problem with leaving our truck hooked up. Some sites have matured trees (something hard to find in NM). All utilities and very good and WiFi is great in entire park even when full. Bathrooms are old but clean. Showers are SMALL, fiberglass stalls but the pressure is good with a TON of hot water and they are clean. Everyone here from office personal to maintenance are supper nice. All utilities and very good, and WiFi is great in entire park even when full They have meals available, delivered directly to your site from 5 to 7. They are a bit pricey but after a long day of diving are worth it. The park is quite at night, no highway noise, but a train does pass near (try to find a campground in NM where it doesn't). Small playground, no pool.The dog run is fenced, gravel and well maintained (no mud). They have a basic, free continental breakfast in the morning. A well maintained walking path through the rejoining lava field is nice. We won't stay anywhere else when passing through Grants. We camped at Grants / Cibola Sands KOA in a Fifth Wheel. This is a smaller KOA with 36 pull through FHU sites, about half of which are 30 amp and the remainder are 50 amp. They also have a few back-in W/E sites, tent sites and camping cabins. All sites have a picnic table and 24 cable channels included in the price. Interior roads and sites are all gravel (and very dusty when the winds are blowing) but are easy to navigate for a big rig. We stayed in site 8, which was a level double site with a tree in the middle. The tree would have prevented us from putting out our awning, but with the winds we couldn't put it out even if we wanted to. Sites are long, but very close together. There weren't many rigs there during the day but at night it filled up quickly. 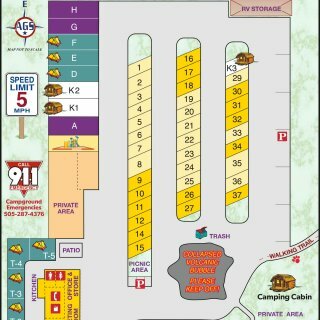 The KOA is about a mile from the highway and easy to find which makes it a very convenient stop when traveling through. They also offer homecooked meals which is a nice touch. We had the roast turkey dinner which was good, but $13.50 per plate (not including tax) was a bit pricey in my opinion. The staff here are probably the friendliest folks around and are very helpful and informative. The bathroom/shower area consisted of three toilets and two showers which were clean, but very small. There is also a laundry area and they offer Wifi but we didn't use either. No pool, but they do have a small playground for the kids. Verizon service was very good. The KOA also has a campground store as well as a free basic continental breakfast daily which was appreciated. There was noise from a nearby train, but it didn't bother us. We would stay here again. The nightly rate reflects KOA Value card discount and additional $25 in KOA points used. We camped at Grants / Cibola Sands KOA in a Fifth Wheel. The town of Grants is just on the other side of the highway with fast food places, gas/diesel and other necessities. Walmart is 3-4 miles away. Didn't get to see the sights due to the high winds. Because we were staying for a week, we were given one of the 2 double sites in the campground which was appreciated. Having that extra room made us feel less crowded than many other places we have stayed. Hook ups were good and the sites were level. We camped at Grants / Cibola Sands KOA in a Motorhome. The walking trail loop behind the park is a nice introduction to the area with signs telling about some of the different landmarks. We stayed here to visit the Very Large Array but because of the road layouts it was 2 1/2 hours one way. Worthwhile trip but if planning again, I would probably use a different city for a base. The drive through El Malpais to get there was enjoyable however. El Morro was a good place to spend some time. We stayed here to visit a number of the attractions in the area. The park was clean and organized, staff helpful and friendly. No pool or other amenities but a very nice park in the Grants area. Walking trail for the dog. We camped at Grants / Cibola Sands KOA in a Fifth Wheel. Visit the Mining Museum in town. El Malpais Nat'l Park was OK, ranger talk was not very good. El Morro Nat'l Park is amazing, do not miss this one. El Calder0n hiking to the volcano was a nice leg stretch. OK to take dogs on most hikes. Wide open park - all gravel. Long level pull-thru sites. All utilities worked well (water pressure, electric stable, sewer connection easy to use). They offered free continental breakfast. There is a walking path through some of the lava flow rocks that was enjoyable. We camped at Grants / Cibola Sands KOA in a Fifth Wheel. This was just an overnight, in late, out fairly early. We only stayed overnight, but we are coming back to see some sights. Would recommend this park. Nice for an overnight on the road to or from Albuquerque. Get your dinner delivered...what a treat! We were here for El Morro and hiked the beautiful loop once again. El Morro is so special............the hike along the top fabulous and the views outstanding. We also went to the Ice Cave and Volcano. The ice cave is a once in a lifetime thing to see. And the shop and people there were fantastic. 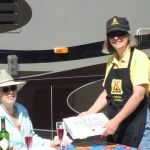 Hot meals can be delivered to your RV for about $15. The long ride to El Morro National Monument is well worth the views if you take the 2 mile hike loop to the top of the mountain. El Mapais & El Morro are nearby and must sees. Mining Museum in Grants. Highly recommend Kendalben Barbecue restaurant in nearby Milan. El Malpais National Monument is close by and worth a visit. The main attraction is the El Malpais National Monument. Lava beds, lava caves, lava hikes, a natural arch, 4WD back roads, 3 visitor centers. El Malpais National Park and El Morro NP. 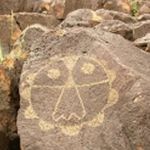 Did you know that there were volcanoes in New Mexico? Grants is built on lava flows. Huge flows of black lava surround the KOA. The park staff will point out the dead volcanoes and caldera in the distance. This is all very cool bring your camera. 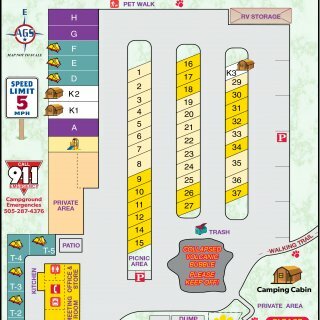 Are you affiliated with Grants / Cibola Sands KOA ?